Sometimes the most important thing to learn about little adventures like yesterday is to just pay attention. For example, if you had asked me where was an easy place to find some tamarack trees (larch), I would have said you'd have to drive about 30 miles away. Not so. There are several just north of Ludington. I've driven past them at least 1000 times since we've lived here and never noticed. But yesterday, I was actually looking at the trees and hills and plants near the river. 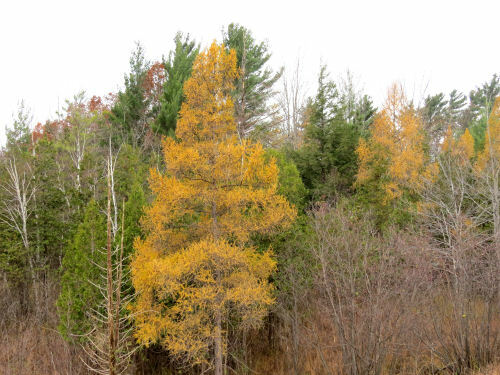 I always love how the tamarack turns golden in the fall. It's one of the few conifers that loses its needles. 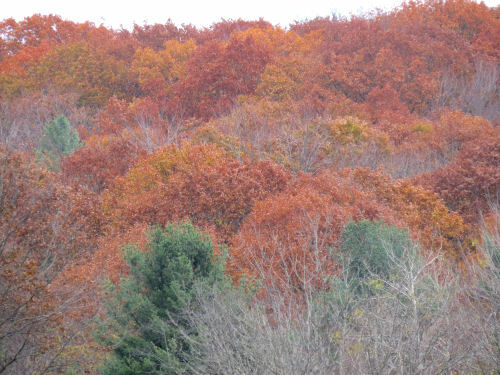 Across the way was this rich, rusty hill covered with trees. Probably oak. 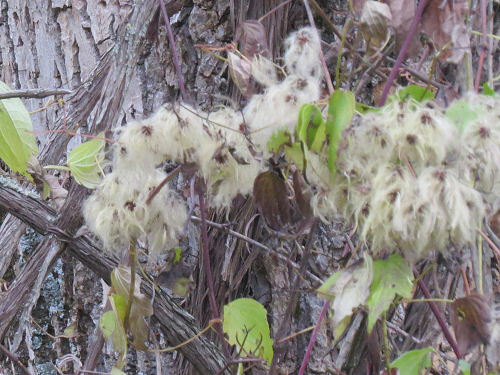 At another road crossing, I found old man's beard, wild clematis gone to seed. Maybe I'll remember to go get some pictures of the flowers next summer. 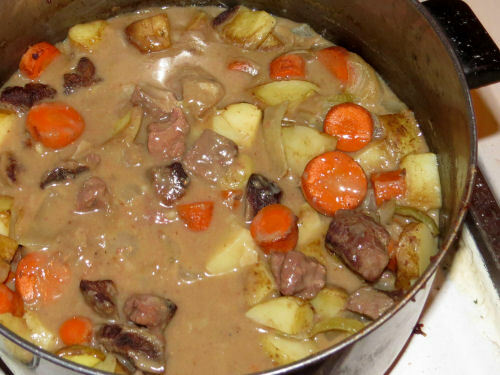 What I paid attention to at home was making a pot of stew. Yum. Great for a cold rainy day. I've neglected to cover the other news for the past few days. Got a few chapters written. Voted.